CCB-M money to promote purchase in Brome-Missisquoi! CCB-M money to promote local purchase! Promote local purchase by accepting our CCB-M money! In order to encourage people to buy local, the Brome-Missisquoi Chamber of Commerce is giving you the opportunity to become a participating merchant when you accept CCB-M money in your company, any time of the year. When you take CCB-M money, all is asked of you is to respect the value of the CCB-M bills in your enterprise. The Chamber of Commerce will give you a full refund of the amount received in CCB-M money, when you’ll bring them at our office for the exchange. That way, the companies that purchase CCB-M money, invest directly in local purchase, thus leaving to their receiving parties the freedom to treat themselves wherever they want. The CCB-M money acts as a gift card, applicable all over the Brome-Missisquoi territory. You are welcome to call us if you wish to treat your staff, customers or partners with CCB-M money. Let us know by email if you would like to be on the participating merchants’ list, at info@ccb-m.ca. The members dealing with CCB-M money, will have their company name added to the participating merchants’ list, on our MEMBER DISCOUNT web page. Please take note: That there are bills identified under the former Chamber of commerce:, they are still valid as long as they are stamped with the CCCR seal. Here is the image of an old CCCR bill (still valid) and a present CCB-M bill. Become a participating member merchant! Offer Our CCB-M Money to promote local purchase! 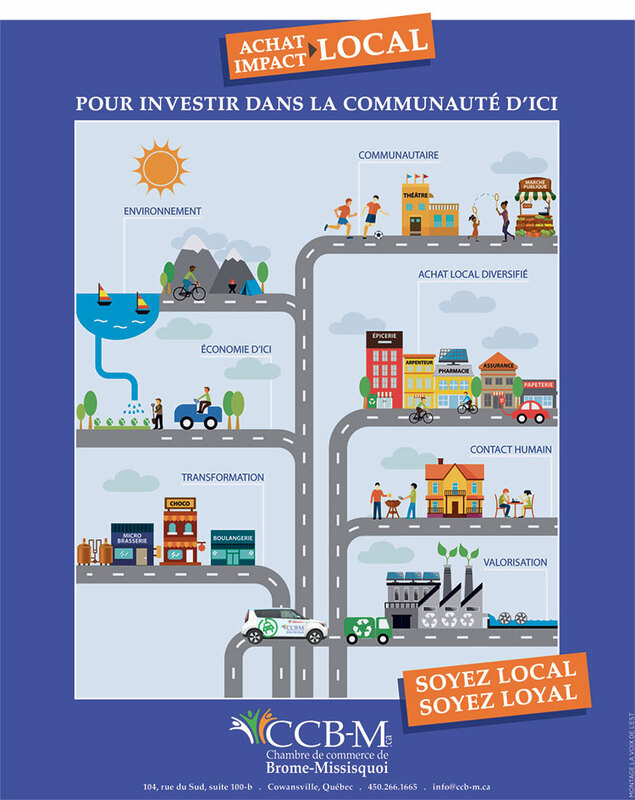 To promote local purchase, the Brome-Missisquoi Chamber of Commerce (CCB-M) offers you the opportunity to purchase CCB-M Dollars at any time of the year. What better way to reward your employees, your customers or your contacts who will in return support our local businesses? "CCB-M Dollars" are kind of a gift card valid throughout the CCB-M territory and accepted in nearly fifty stores of all kinds. The users have the choice to spoil themselves wherever they want.